*This post contains affiliate links for your convenience. Thanks for supporting Persia Lou! Pantone’s 2015 color of the year, Marsala, has been met with some mixed reviews, and I will admit that when I first saw the color, I wasn’t super enthusiastic. 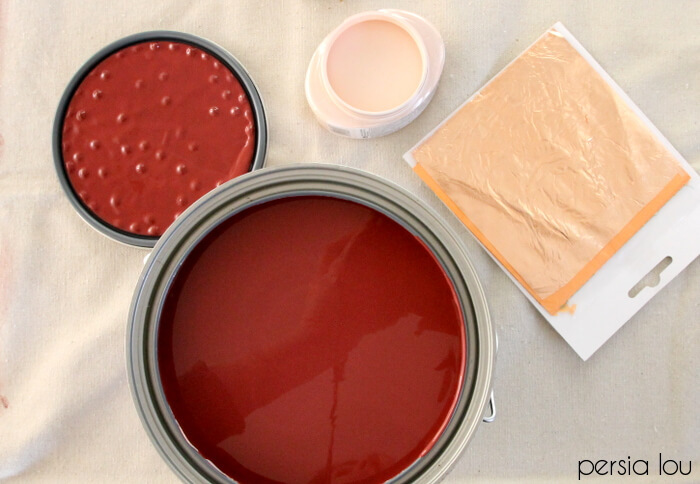 But when Valspar and Porch.com (a great site for finding home professionals and DIY inspiration) challenged me to make something using the color of the year, I was definitely excited to give it a try. Oh dear – I love that. Am I selling you on Marsala at all? 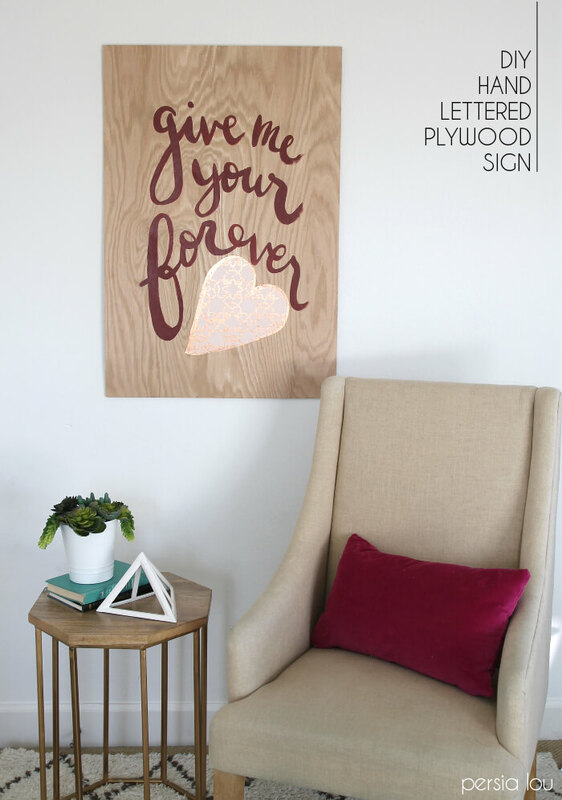 Back to the challenge – Valspar sent me that lovely paint and Porch sent me a stencil to incorporate into the project, and I put them all together to make a big piece of hand-lettered plywood wall art. I picked up a piece of plywood from Lowes and had them cut it down to 3’x2′ for me (I’m not big on the power tools, so I love the free cuts! ), and started by sketching out my design on a piece of paper. I wanted to do something romantic for this project since it was a kind of Valentine’s Day challenge, so I chose a phrase from our wedding song, “Forever” by Ben Harper. 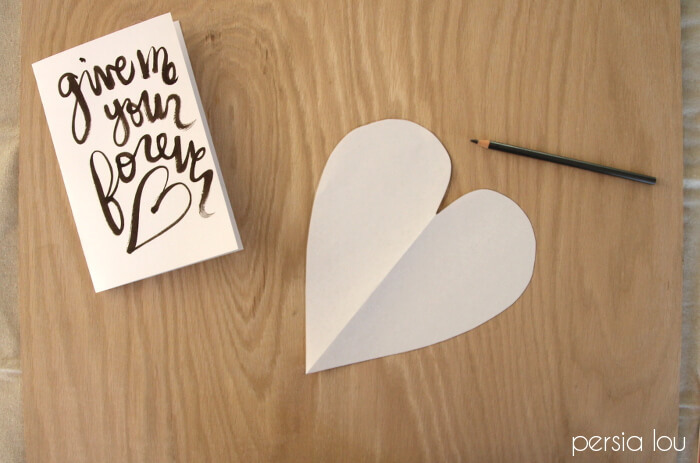 I cut out a paper heart and traced it on the plywood, and then sketched out the phrase around it on the plywood using a pencil. I wasn’t too worried about getting it all perfect, but if you feel less confident in your ability to sketch it out, you could try tracing a projected image or using a technique similar to what I used here. Next I painted in my heart with the pale blush color. When that had dried, I painted the text. Remember, in general, upstrokes should be thin and downstrokes should be thick. 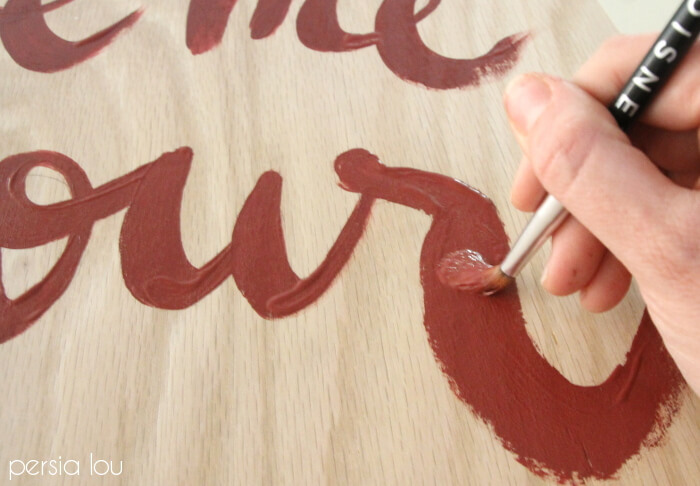 You can achieve thick and thin with a brush by holding the brush at a 90 degree angle to the canvas (or plywood in this case). 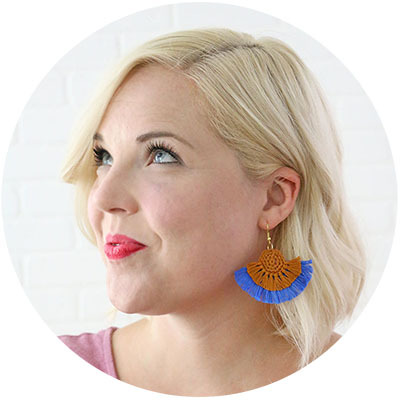 When you use very little pressure (on the upstroke) it gives you a fine line, and when you use a lot of pressure it pushes the bristles apart giving you a thicker stroke. 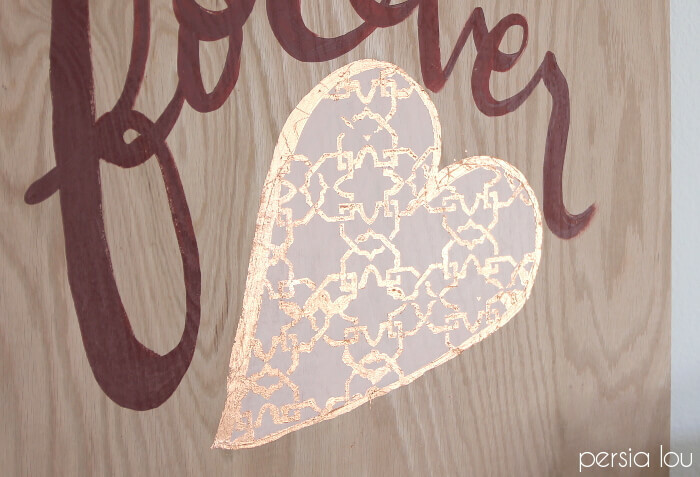 When my lettering was all dry, I added copper leaf to the heart using my stencil. 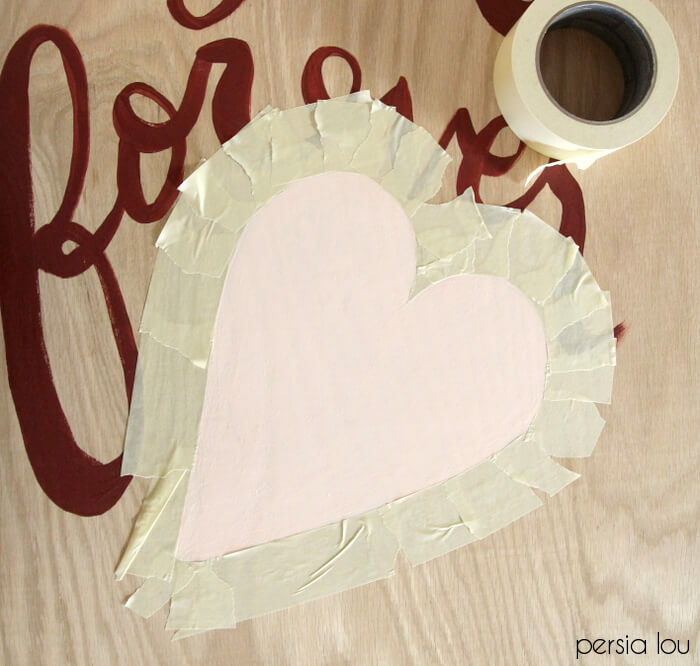 First, I started off by taping around the heart to keep the wood around the heart free from adhesive. Then I taped my stencil down over the top half of the heart. I gently applied the metal leaf adhesive over the stencil using a sponge brush. When I finished the top half of the heart, I moved the stencil down to the bottom half. 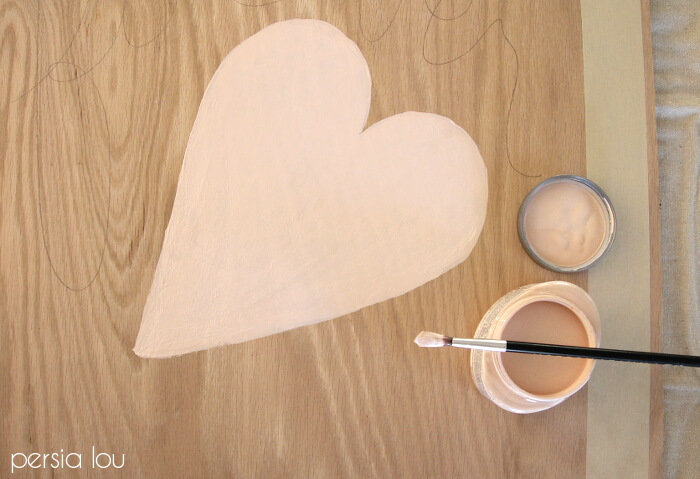 Then I used my round brush to paint a border around the outside of the heart. And my wall art was all done! You can attach hardware to the back for hanging, or I actually used some heavy duty command strips to hang mine. What do you think? 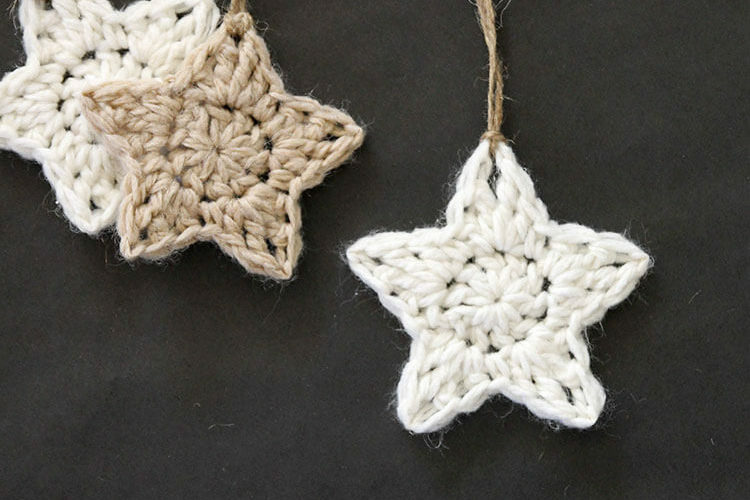 Do you see potential in Marsala? 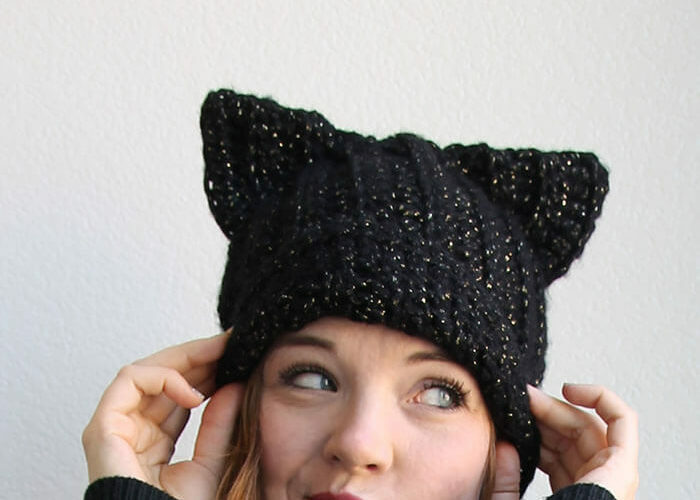 What colors would you pair it with? Tell me all about it in the comments! 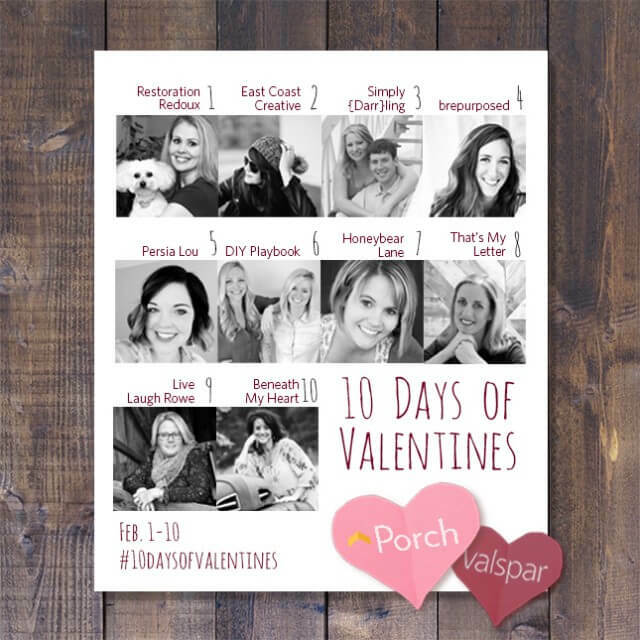 Be sure to check out all the other projects in Porch and Valspar’s 10 Days of Valentines! So cute! 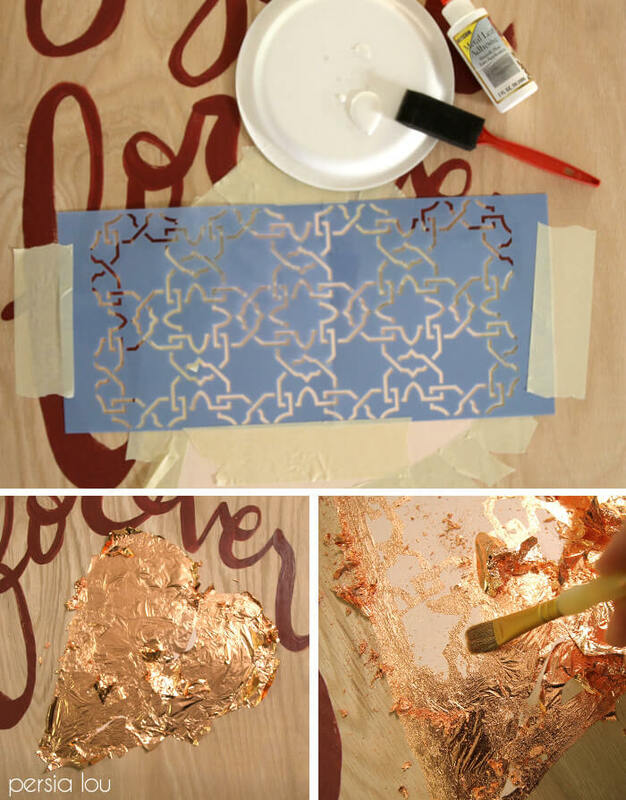 And I love that you used copper foil, perfect color complements to the marsala! 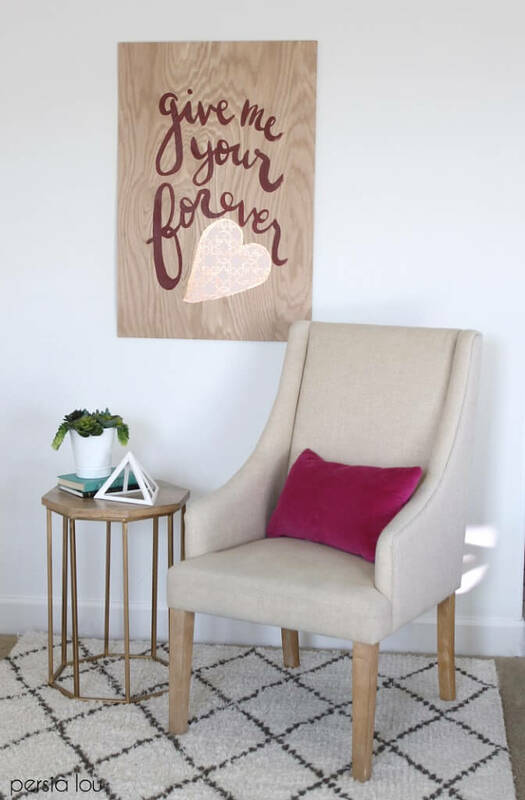 Love you sign and the way everything is styled. Looks so good! Very pretty. But re marsala, I can&#39;t help but think it&#39;s so 1993. I wore a dress that exact color to my freshman homecoming dance! Haha, now I&#39;m just showing my age. I totally had a homecoming dress the same color too! Where did you purchase your side table? Love your style!